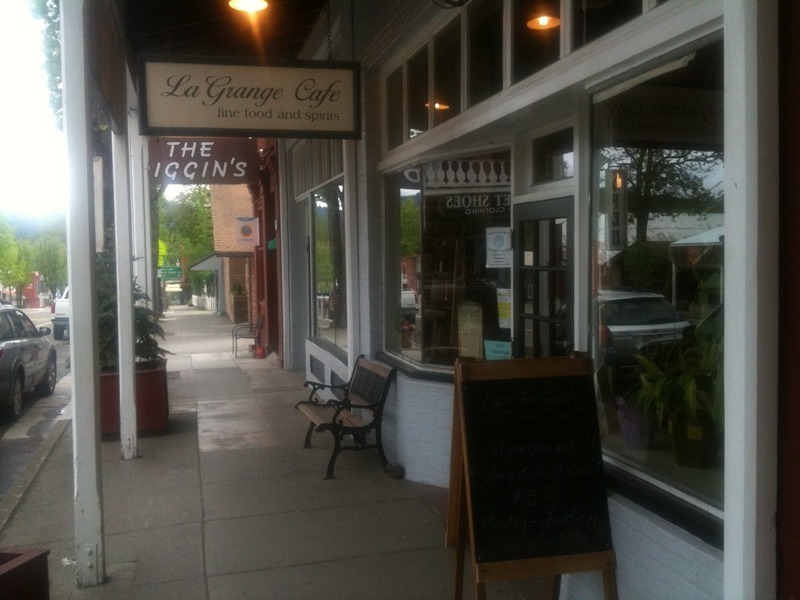 We stopped for a great dinner at La Grange in the old town section of Weaverville. Susan had buffalo meatloaf, Logan of course had chicken strips, and I had clams. The goat cheese starter and peach cobbler dessert was fantastic.